I feel like Blush Pink is the "it" color this year! 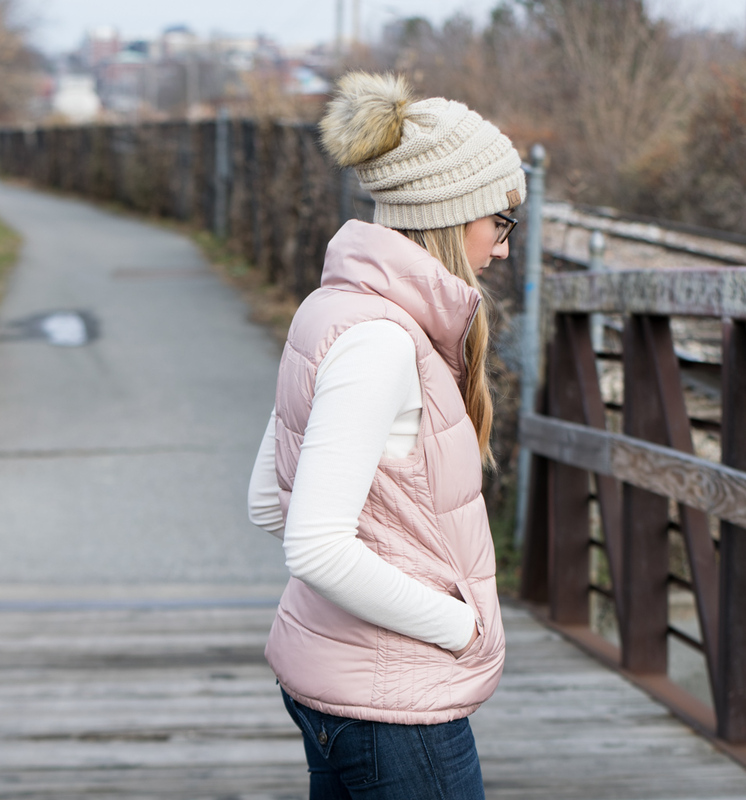 I couldn't resist this blush pink vest for the price! It's super cozy and lined with fleece so it's perfect for the cold Vermont Weather. I'm also loving henley shirts lately- I have this one in a few colors & I love how it fits. It's perfect for throwing on to run errands or lounge around the house. 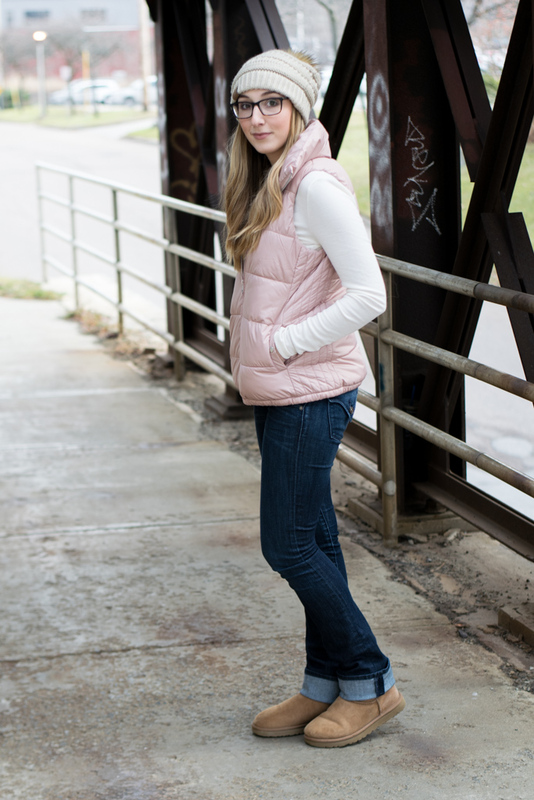 I'll be honest that I love to wear my Uggs all the time- the classic short is my favorite style, it really is like wearing slippers all day! 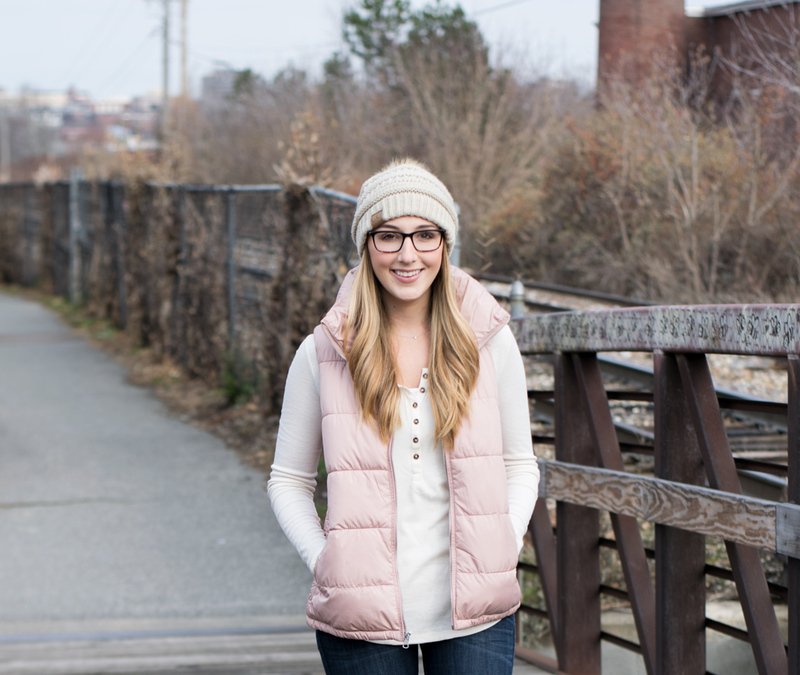 This outfit would be perfect for any casual outings you have planned- or some last minute Christmas shopping! I need to go wrap some more gifts now- I'll be posting a fun holiday centerpiece DIY later this week so look out for that! I wore a quilted vest to work yesterday- they are great for extra warmth during this freezing weather! That vest is super cute, I love the colour and it looks so cozy. 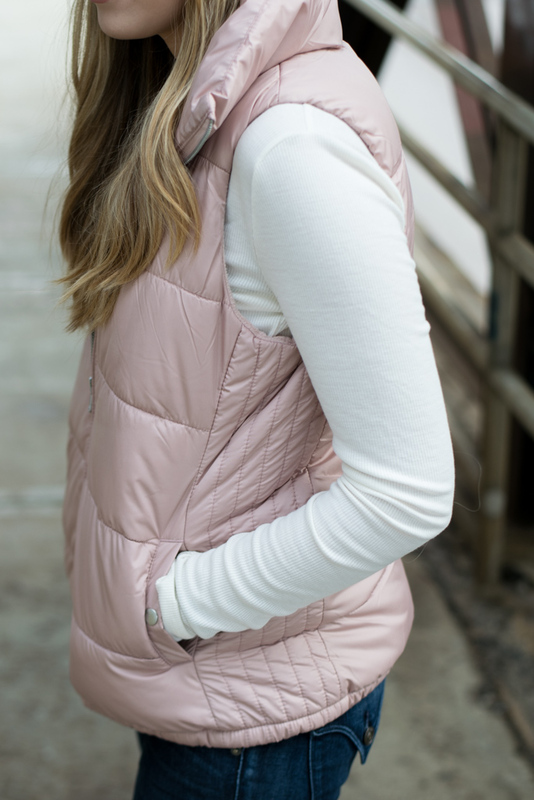 this vest is super cute on you! I love the blush tone! yes to that color! That vest is so good on you! wow girl this puffer vest so pretty on you darling you looks stunning .. I have this same vest and I love it! Such a cute vest babe! I love blush pink! I could definitely use more of it in my wardrobe. This vest is amazing! I love it! This vest looks SO cozy, I love the color too! Love the whole outfit! Certainly something I can see myself wearing around my college campus. Your hair is stunning! 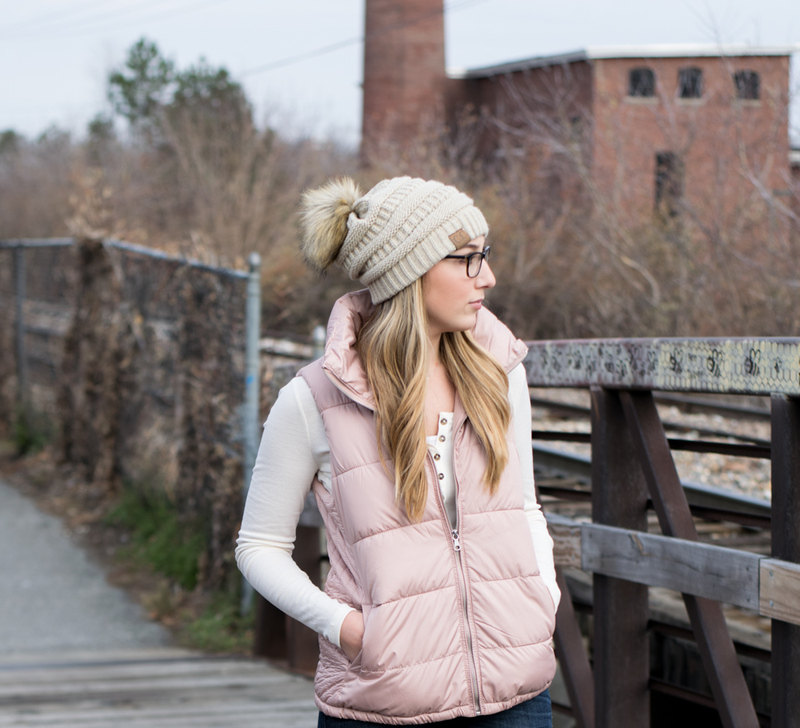 Anything blush I love, and this vest in exception; it's so cute! I loveee that color! 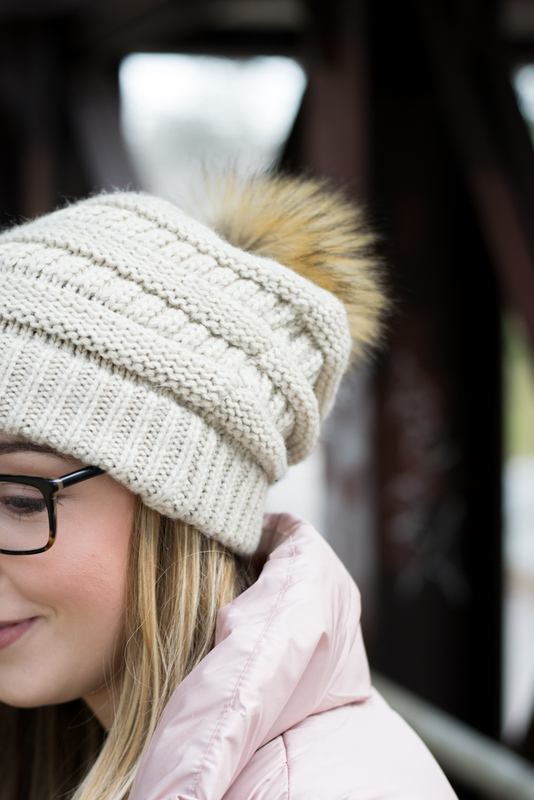 Your hat is super cute, too! This pink puffer is so cute! Love it girl.